Five of the bells at Filton were cast in 1734 by William Evans of Chepstow. They fell into disrepair and became unringable over the war years. In 1961, they were rehung and a new Treble was cast and added by Taylors of Loughborough. 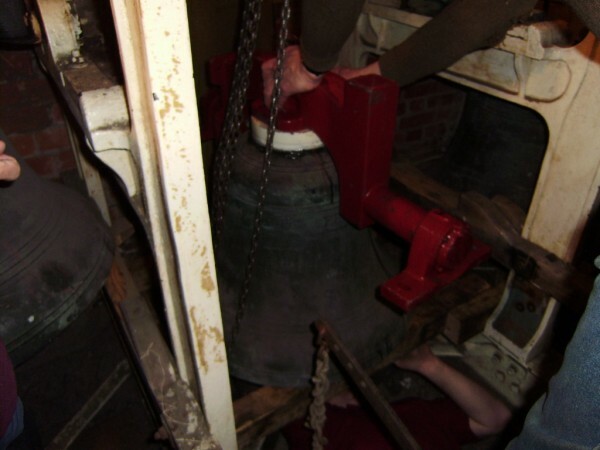 In 2009, the headstocks of the third and fourth bells cracked and were replaced. The decision was then taken to refurbish the other bells. The work began in August this year and is now nearing completion. Members of the local band have repainted the bell frame, treated the wooden fittings with preservative, cleaned out the bellchamber and replaced the sound attenuation materials. 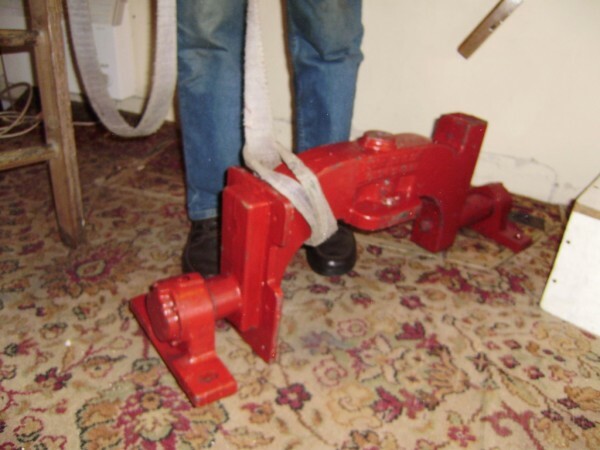 The headstocks of the treble and second bell have been replaced ; the clappers of the treble, 2,5 and 6; the bearings of 5 and 6, and all the pulley blocks, have been refurbished by Taylors. Following three days of hard work, Paul Mason from Taylors, his friend Molly and members of the band, the bells have been rehung. The photographs show 1) Paul Mason, David Haslum (Tower Captain) and Stephen Cowl with the wheels of the treble and second; 2) David helping to load the headstocks and fittings to go to Loughborough; 3) David and Eddy Welch with the refurbished headstocks, wheels, clappers and pulley blocks on October 3rd; 4) David and Chris Gooding (Tower Secretary) with the fittings; 5) Molly painting the headstock of the fourth bell; 6) David roping the third bell; 7) the resin collar being made for the second bell; 8) Paul Mason tightening bolts on the headstock of the second; 9) the repainted headstocks of the fifth and tenor. The cost of the work is expected to be in excess of �6,500. The band has raised a substantial amount of this already, and generous donations have been received from members of the church congregation. Photograph 10) shows the presentation of a cheque for �350 by Roy Hale on behalf of John Lewis to David, Chris and other members of the band. Fund raising activities currently include selling jams and preserves in the Church Cafe and a Recorder Concert in church on 17th October arranged by the Organist. 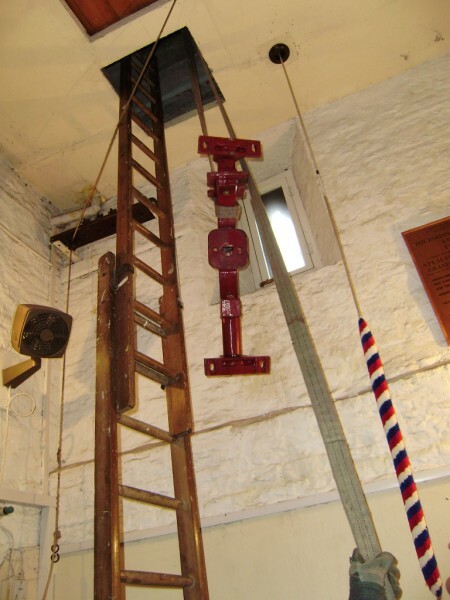 Application for financial assistance has been made to the Gloucester and Bristol Diocesan Association of Church Bell Ringers, the Sharpe Trust, the Leche Trust and other organisations. Needless to say, any contribution, however small, would be most welcome. Please contact either David Haslum or Chris Gooding. 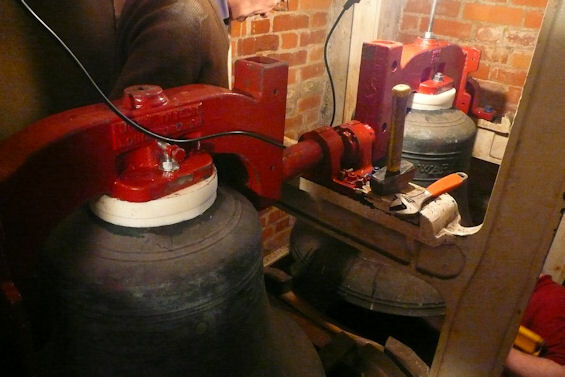 The headstocks on the treble and second bells are being replaced by the bell-founders John Taylor & Co of Loughborough. The clappers and bearings on the fifth and tenor bells are being refurbished along with thepulley blocks. Work started on the 26th August and the photos show many of the items stripped from the bell chamber along with Paul Mason from JohnTaylor & Co and volunteer help from the Filton band - David Haslum, Chris Gooding and Stephen Cowl. The band that rang the successful quarter peal. 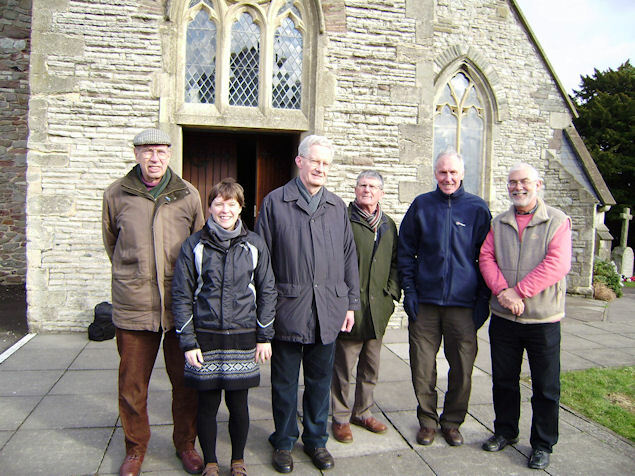 Left to right: John Gilbert retired RR , Jenny Pick currently with TES, David Haslum retired BAC-Airbus, Henry Taysom retired BAC-Airbus, Eddie Welch retired BAC-Astrium, Chris Gooding retired RR. The article below was written we believe by the Airbus publicity department and I am told has some errors in it. 1. The Filton church was not bombed and was used as a rest centre when the aeroplane works had been bombed. Church Bells Ring Out the first 100 years of Bristol Aerospace On Friday afternoon, 19 February, the bells at Filton Church, Bristol will ring out to mark the centenary of the foundation of the Bristol Aerospace Company (BAC) back in 1910 by the visionary Sir George White. The ringers will be made up of past and presents employees of the various local companies that can trace their roots back to that historic day such as Airbus, Rolls Royce and BAE SYSTEMS. For centuries, church bells have been used as a public broadcast system announcing births, marriages and deaths, informing people of various events, and commemorating special occasions. To continue this long tradition the BAC ringers will mark the centenary of the Bristol Aerospace Company with a special piece of ringing called a quarter peal where they will attempt to ring the bells in at least 1250 different combinations by changing the order following a predefined pattern or method without stopping or making mistakes. This is a feat that involves about 45 minutes of continuous ringing and mental concentration. George White contributed to the rebuilding costs, and in 1961 the existing ring of five bells was restored and a new one cast to bring the ring up to six. Up to the early 1990�s the local Aerospace companies held their annual carol service in the church with employees providing the ringing on those occasions. Long time Airbus employee and local ringer Gary Crisp said: "There are over 30 BAC past and present ringers who still live and ring in the area. We have rung for other special occasions and it is nice to be able to mark this significant milestone at one of the homes of UK aerospace in this way." Another ringer, Simon Tomlinson agrees: "I have worked on this site for over 20 years and it is great to be able to come together with my fellow employees to use our skills to permanently mark the anniversary in this uniquely English way." 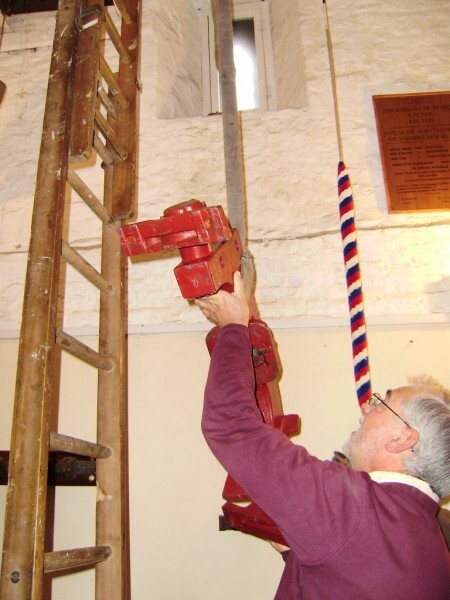 The event will be formally published in the Ringing World the Bellringers own weekly newspaper. individually by the conductor, a style known as call-change ringing. Alternatively the changes may be made to a pre-set pattern or "method" that each ringer must learn in order to know when their particular bell must sound in each row, a style known as method ringing. On November the 9th the Filton headstocks were returned to the tower, they had a few problems and after some adjustment at the factory (In Loughborough) they were back on site on the 11th and hoisted into the bell frame area which I can tell you is extremely tight, below you can see pictures of the two headstocks, the first picture is the fourth and the third picture the third bell headstock, they are being pulled up through the hatch by David Haslum and Chris Gooding with the bell hanger in the bells heaving away. 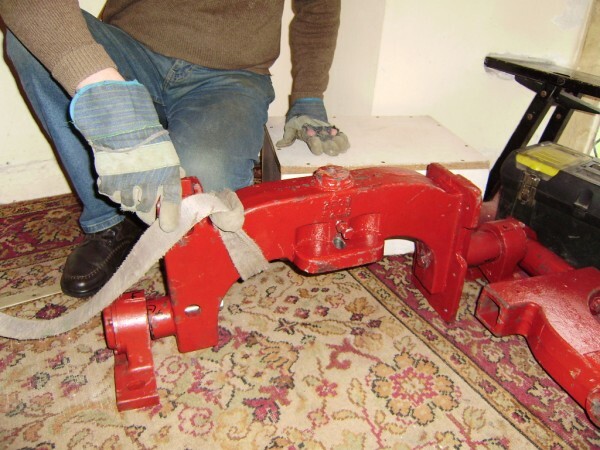 The last pictures are of the bellhanger lying under the fourth whilst David Haslum tightens down the headstock bolts onto the new fibre block. The last picture taken by Chris Gooding is of the three and the four in situ, Chris sent the email to say Filton now have 6 bells again. 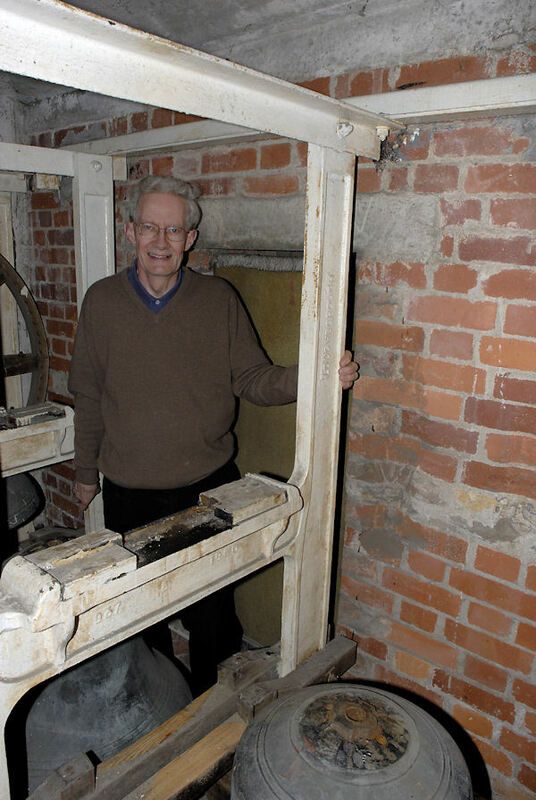 In June 2009 Filton found that the headstocks on the 3 and 4 bells were cracked. and the contents of his email with the photographs. In the meantime you may like to see a couple of photographs of the hanger for the third bell at Filton. 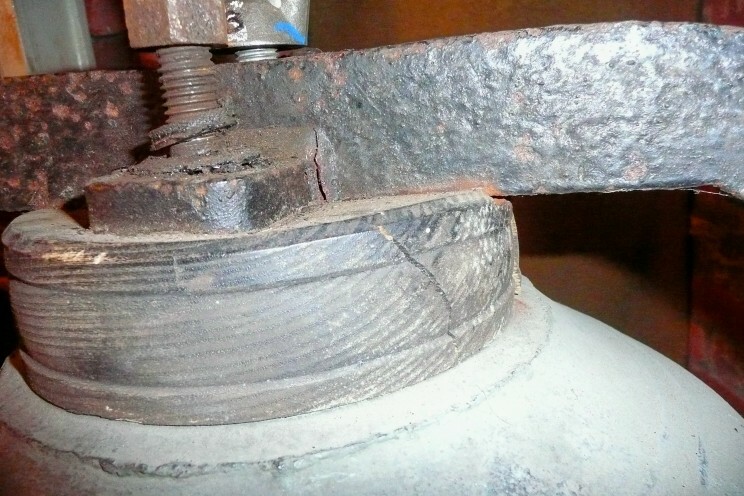 The first photo (320) shows the crack as discovered with the bell 'in-situ'. The second photo (332) shows the extent of the crack after hanger removal and clearly illustrates the crack severity. 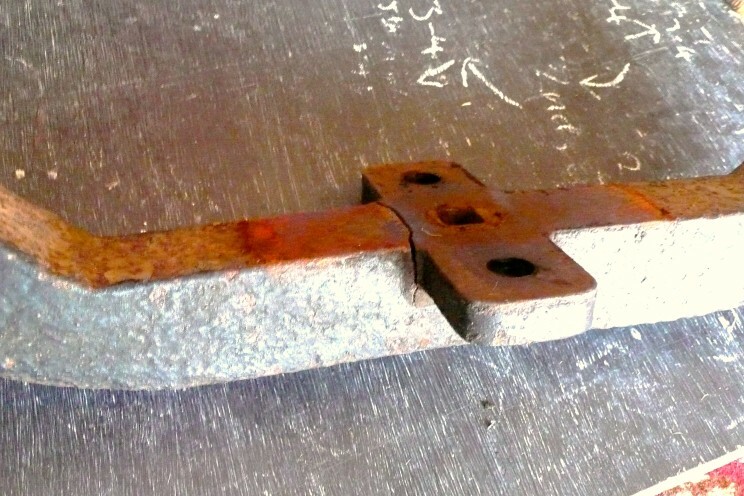 The hanger for the fourth bell was found to have a number of small cracks which Taylors believe will soon lead to failure if not attended to. I wasn't able to obtain an adequate photo of those cracks with the lighting available. 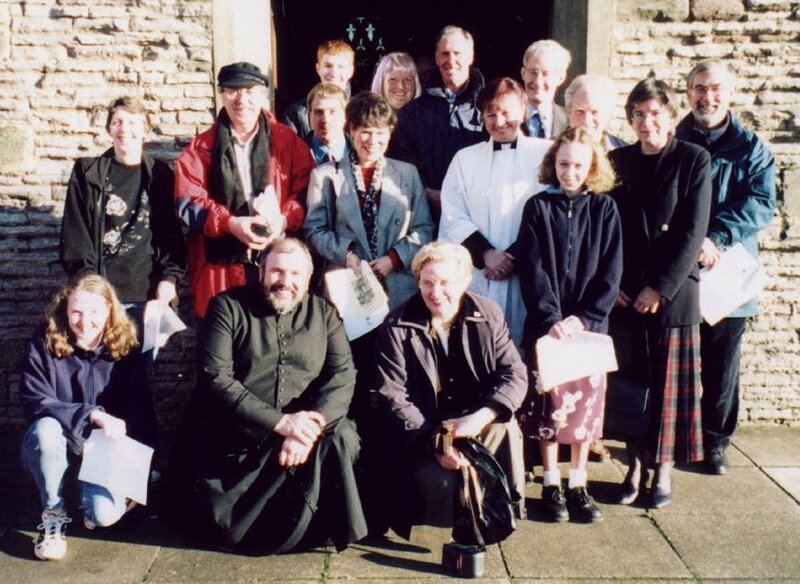 January 1st 2000 12.00 ringers and Clergy. Winners of the branch striking competition and in brackets the position in the Croome trophy, if the year is underlined their are pictures.